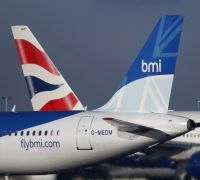 British Airways should know by Friday 16 March whether owner IAG has gained approval with its bid for bmi, the Lufthansa-owned former British Midland Airways. The European Competition Commission has posted the date on its website. A bmi takeover would boost IAG's share of runway slots at Heathrow Airport to about 52% from the current 43%, still less than the dominance of some continental airlines at their home airport. From a BA point of view it would allow for route consolidation, the slots realised opening up possibilities for more frequencies and new destinations, particularly to China and India. 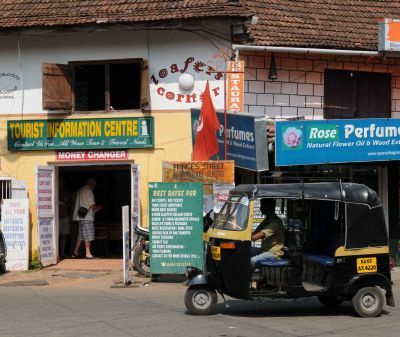 Against the move is the loss of competition on UK regional routes, with the potential to push up fares and limit transfer traffic to Virgin Atlantic and other carriers not commercially friendly to British Airways. bmi’s pulling of the Glasgow route is sited as an example. 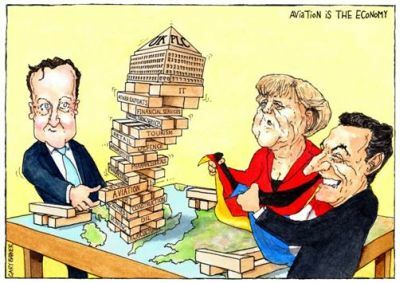 Last year, EU Competition Commissioner Joaquin Almunia blocked the merger of Greece's Aegean Airlines and Olympic. 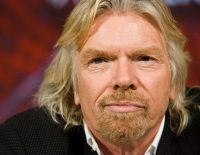 In his strongest outburst yet Sir Richard Branson has attacked the proposed British Airways takeover of rival bmi. “This takeover would take British flying back to the dark ages. For years pioneering airlines have fought to provide consumers with more choice and lower fares. This move will see British Airways unravel all of this progress made. When British Airways was left the only operator on the Glasgow to Heathrow route in 2011, fares paid by Scottish travellers rocketed by 34% in six months. BA has a track record of dominating routes, forcing less flying and higher prices. This merger will see BA holding more than half of all take-off and landing slots at the UK’s only major international hub – an airport that has had much needed growth plans forcibly frozen. Bromma, Stockholm’s downtown airport just 5 miles from the city centre, is to be linked from 22 May by Flybe Nordic to Oslo with up to 22 flights per week. 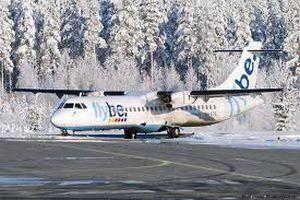 This moves Flybe one step closer to realising its ambitions to becoming the largest regional airline in the Scandinavian and Nordic region, linking all key business cities. It was in August 2011 that the British airline was able to confirm the arrangement with Finnair to invest in Finncomm, a local regional carrier. Flybe is now the largest international airline flying from the airport, threatened with closure in the 1980s with the expansion of Arlanda, 25 miles outside the city. 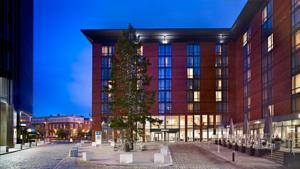 Hilton has announced the opening of a Garden Inn at Birmingham’s prestigious Brindleyplace development. The former Mint Hotel is located in the heart of the city centre within close proximity to the National Indoor Arena, International Convention Centre and Symphony Hall. In the coming weeks, two additional former Mint properties will also join the Hilton Garden Inn portfolio, in Glasgow and Bristol. Already open are hotels in Aberdeen and Luton. Hilton Garden Inn Birmingham Brindleyplace features 238 rooms all with Apple iMac computer which functions both as a TV and computer, mini-refrigerators, floor-to-ceiling windows, as well as a newly refurbished fitness centre with Precor equipment. The hotel also offers meeting space for up to 120 people in its six flexible conference rooms, all of which benefit from natural light and provide the latest in audio-visual technology. Complimentary wi-fi access and a 24-hour business centre is provided. Emirates is to fly to Lisbon on a daily basis from 9 July as it continues with its quest to connect with every European capital and important city. The date is just six days after it launches flights to Barcelona in neighbouring Spain. 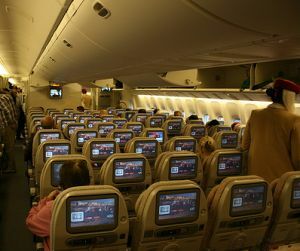 Emirates will serve Lisbon with a Boeing 777-200ER aircraft offering First, Business and Economy Class cabins. The Portuguese capital becomes Emirates 31st European destination. It will be the only Middle East-based carrier operating into Portugal. Portugal has a population of around 10m, of which nearly 2m live in Lisbon and its suburbs. It is estimated there are some 200m Portuguese speakers around the world, making it the third most spoken European language globally, according to Visit Portugal. 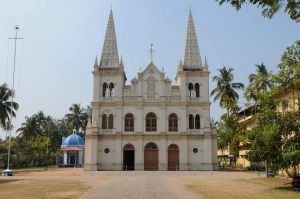 The airline serves many of Portugal’s former colonies and spheres of influence, the countries where Portuguese is heard, including India, Angola, South Africa, Zimbabwe, Brazil and Hong Kong – gateway to the former enclave of Macau. Airport lounges continue to expand and improve in quality. 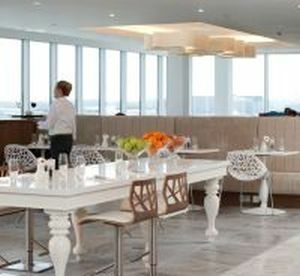 No.1 Traveller says it is preparing for its busiest year yet by creating additional seating capacity at three of its pay-on-entry airport lounges in the London area. New arrival for the operator is Hong Kong Airlines who has chosen the lounge for its daily service to Hong Kong which will be introduced in March. No.1 Gatwick in the North Terminal will increase capacity by 30%. In the South Terminal capacity is also planned to expand by 40% with an additional 1,000sq ft, making space for a new business area, games table and Snug. Seating capacity at No.1 Heathrow in Terminal 3 will increase by 10% and a second treatment room will be added to its Travel Spa, which recently received a ’four bubble’ review by the Good Spa Guide. All upgrades are expected to be completed prior to the London 2012 Olympic Games. Some of Britain’s greatest aircraft that heralded in the jet age have been saved for the nation through the generosity of Jersey-based businessman and enthusiast Mike Collett. 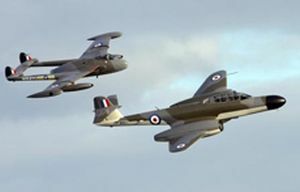 Mr Collett’s collection, which includes a former world record holding English Electric Canberra, Gloster Meteor and De Havilland Vampire, all flyable, would have achieved well over one million pounds in auction in the United States. Mr Collett has donated in total some 10 aircraft to the newly created The Classic Aircraft Trust (CAT) which plans to keep them all in the air. “There are numerous examples of Britain’s early post-war aircraft sitting in museums but very few that remain airworthy. This new Trust has been set up to ensure that we can raise funds efficiently to secure the future of the few aircraft we have left. It has taken years to get the Meteor T7 back in the air and our aim is to try and ensure that it and the rest of the fleet can be flown. The three leading trade associations in the aviation sector have come together to call on the Government to be bold when it launches its consultation on aviation policy next month. Both Qantas and Virgin Australia have offered to help out stranded passengers bringing them home at the same price as they paid Air Australia. They then should be able to claim back airfare and in some cases extra expenses under their insurance and credit card arrangements. Passengers can now book seats on selected Hong Kong flights to/from Sydney, Toronto, Vancouver and New York. In May the Premium Economy cabin will become available on the London route. 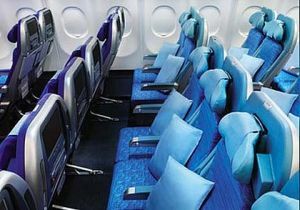 The “Premium Economy experience” features a more spacious cabin than Economy with between 26 and 34 seats per aircraft. Seat pitch will be 38 inches – six inches more than Economy Class – and the seat itself will be wider and have a bigger recline. It will have a large meal table, cocktail table, footrest, a 10.6-inch personal television and an in-seat power outlet. Passengers will also benefit from priority check-in at dedicated counters and precedence on boarding before Economy Class passengers. The baggage allowance increases from 20kg to 25kg and passengers will be welcomed aboard with juice and champagne, and enjoy an enhanced onboard meal selection. Faroe Islands flag carrier Atlantic Airways is moving its summer UK schedule to Gatwick Airport, from where it will operate an extended 2012 season. Hardly the biggest win for the south London airport since it was sold off by BAA. Nevertheless the move from Stansted, its home since 2000, is significant. The airline will operate a twice weekly BAe 146 service from late May to mid-September, plus flights at Easter. 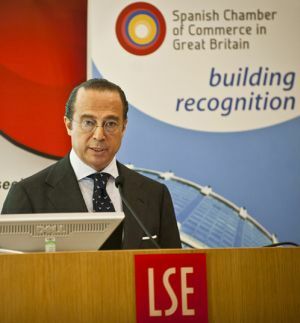 Antonio Vázquez, Spanish Chairman of the International Aviation Group (IAG), made a presentation last week to the Spanish Chamber of Commerce in Great Britain at the London School of Economics (LSE). He outlined the history of IAG and offered much confidence for the future. No significant British Airways executives appeared to be in attendance. Asked by AERBT regarding the new Heathrow – Madrid ‘shuttle’ from T5 he agreed that the Economy Class products were different (Iberia’s ‘Economy’ is much more basic than British Airways) and said that was something they would monitor. He praised Vueling, 45% owned by Iberia. A question regarding the possible acquisition of TAP Portugal was fielded by Mr Vázquez with a grin. “I’ve nothing to say.” Likewise with the bid to purchase bmi from Lufthansa. “It is out of our hands,” he said. 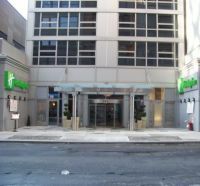 IHG (InterContinental Hotels Group) has announced the opening of the new-build Holiday Inn New York City Midtown. The 20-storey hotel features just 120 guest rooms, small by New York standards, and a rooftop lounge with a spectacular view of the City skyline. Centrally located at 30 West 31st Street, the new US$52m property is just a short cab ride from the three major airports serving the metropolitan area; a short walk to Times Square and the Empire State Building; near Broadway theatres and Madison Square Garden; and by dozens of restaurants and night life locations. Penn Station is less than half a mile away, or a 10-minute walk, and Grand Central not that much further. Having re-vamped the suites on its 26 floor, London’s Hilton on Park Lane has undertaken a restyle of the highest rooms, those one up on 27. Each of the five sumptuous suites has been dressed with lavish furnishings and unique artwork making them the ideal choice for anyone looking for extra opulence, exclusivity and comfort. The renovations are part of an ongoing refurbishment plan that has seen a multi-million pound investment into the property over the past two years. 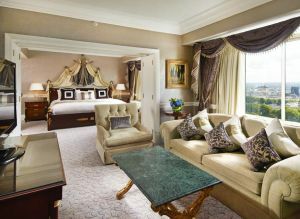 The 27th floor has a quintessentially English style and unique features include a carved mahogany four poster bed in one of the three Clarence Suites, the unusual hexagonal shape of the Balmoral Suite, an impressive dining area for up to 12 guests and the marble and gold finish of the Presidential Suite. Each of the five suites features a connecting room, with the Presidential Suite offering an optional butler service for the ultimate luxurious touch. Guests staying in the Presidential Suite can enjoy breathtaking views of Hyde Park from the comfort of their very own private lounge balcony. With Greg Brenneman, one-time President and COO of Continental Airlines as Chairman, Volotea has been created as a European Barcelona-based low-cost airline. 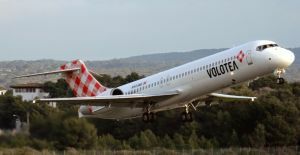 Volotea has already taken delivery of a 125-seat Boeing 117 twin jet (MD80/MD90 series) and plans to be in operation by the time of the Easter holidays. Under a multi-year arrangement Boeing Capital Corporation will begin additional deliveries in March. The number of aircraft involved in the deal was not disclosed. In a comprehensive customer solution, Boeing Commercial Aviation Services will provide operational manuals and its Maintenance Performance Toolbox product. The much criticised (and often delaying) biometric IRIS system of monitoring passports is being quietly withdrawn at British airports. 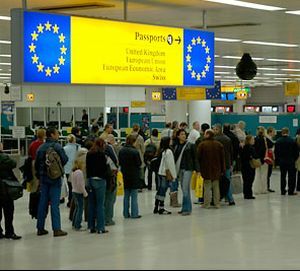 According to the UK Borders Agency (UKBA) it now only remains for single lanes at each of Heathrow’s terminals. Not only was the system slow but it was difficult to use by spectacle wearers who had to pass through and push buttons without wearing their glasses. The IRIS identification system, which has cost the Government £9.1m to date, will be replaced eventually by facial-recognition electronic gates (e-gates) and biometric passports, a spokesman for the agency said last Friday. The self-service iris-scanning scheme is now closed to people who have not already enrolled in it. "We are phasing out IRIS and will be replacing it with other types of gates that non-EU passengers will be able to use," the UKBA said in a statement. Now firmly established as the UK’s second largest regional airline, between Flybe and Loganair, Humberside-based Eastern Airways has introduced a new enhanced charter product aimed at corporate customers, international companies, blue chip organisations, sports teams, the music industry and private clients. 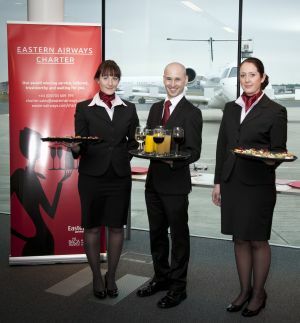 Celebrating its 15th anniversary this year, Eastern Airways launched its range of bespoke charter products to charter brokers at the TAG Executive Centre Farnborough Airport. For the new operation the cabin crew have been specifically trained in the hospitality sector to deliver the Platinum and Gold onboard services tailored to suit each client's needs and also in a variety of languages, including English, French, Italian, Spanish, German and Polish. 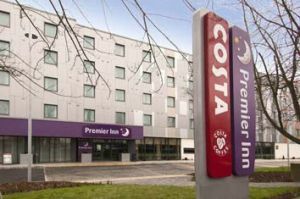 Premier Inn, the UK’s largest budget hotel chain, has opened its largest airport hotel yet with over 400 rooms at Heathrow Terminal 5. On the Bath Road, about one mile from the terminal complex, the site includes a Costa Coffee shop, Thyme restaurant and an outdoor eating area. And for those guests with electric motors who need to top up their vehicle, the hotel also has electric car charge points. 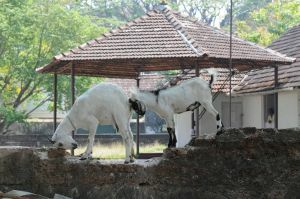 A bus service is provided. 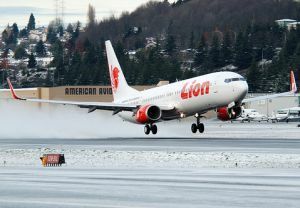 Jakarta-based Lion Air has finalised a firm order for 201 Boeing 737 max aircraft and 29 Next-Generation 737-900ERs (extended range). 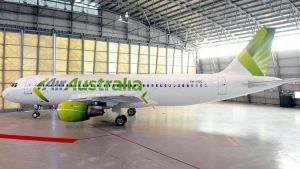 The agreement, first announced last November in Indonesia, also includes purchase rights for an additional 150 planes. This deal is the largest commercial order ever in Boeing's history by both dollar value and total number of aircraft. It is valued at US$22.5bn. The 737 max is a new engine variant of the world's best selling commercial aircraft and is due to make its first flight in 2016 with deliveries starting one year later. It features the CFM International LEAP-1B engine claimed to give a 10-12% fuel burn improvement over present aircraft and a 7% operating cost per seat advantage over what it calls “tomorrow's competition”. Following the announcement of an opening in Paris, Zurich-based Mövenpick has confirmed 11 new projects in nine countries bringing the company’s total number of operating and planned hotels worldwide to 100. 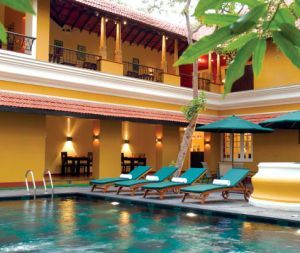 The upscale company now has 69 hotels in operation, 31 in development of which nine will open this year. 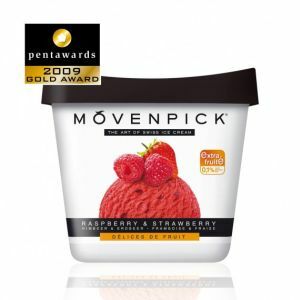 It has no connection with the splendid ice cream producer sold to Nestlé many years ago but is still available at the hotels. 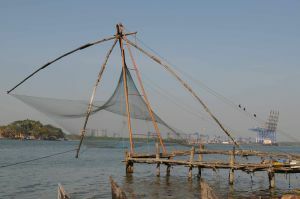 The Chinese property at Hainan, to be launched in 2013, has 380 rooms. Chifeng (Inner Mongolia) is the site of a 350-room hotel targeted for 2015. The company’s entry into Bangladesh focuses on a 280-room resort at Cox’s Bazar, the longest beach in the world at 124kms South East Asia will see openings in Jimbaran (Bali) in 2014 and a 250-room resort will be based on Pantai Pandak Beach (Malaysia) set for 2015. 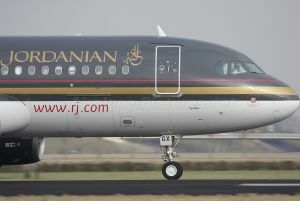 Royal Jordanian has announced that it is to suspend operations to five destinations “in order to reduce the operating costs brought up by the soaring fuel prices and to offset the decline in tourism to the region” says the flag carrier. Services to Brussels, Munich and Al Ain would cease March/April whilst the suspension of services to “two other destinations in the Gulf area”, would be announced at a later date. Gulf Air is dropping four more routes – Damascus, Athens, Milan and Kuala Lumpur – as it continues to wrestle with Bahrain's political situation, high fuel prices and low passenger numbers. Services to Damascus will stop from 2 March while flights to Athens and Milan will cease 12 March, and Kuala Lumpur from 25 March. Entebbe and Geneva have already ceased. Qantas is to withdraw from the loss-making Sydney – Mumbai and Auckland – Los Angeles routes, and reduce capacity on a range of routes including Sydney – Bangkok, Sydney – Perth and Melbourne – Perth by using smaller aircraft. The latest route cuts are in addition to its previous announcement to cancel the Hong Kong – London and Bangkok – London services from next month.